Planning, arranging and organizing an event that is perfect on all grounds, is nearly impossible. Let professionals take over. Situated in Ahmadabad, Gujarat, Hindustan Tourism Service has a team of experienced and professional organizers and planners who are well versed with the industry trends and methods. They excel at planning and putting together an ideal event according to your interests, needs and budget. 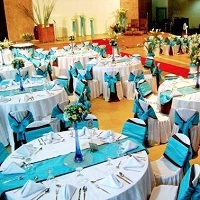 We also conduct corporate meetings, seminars and conferences with banquets, buffet lunch/dinner, and transportation etc.